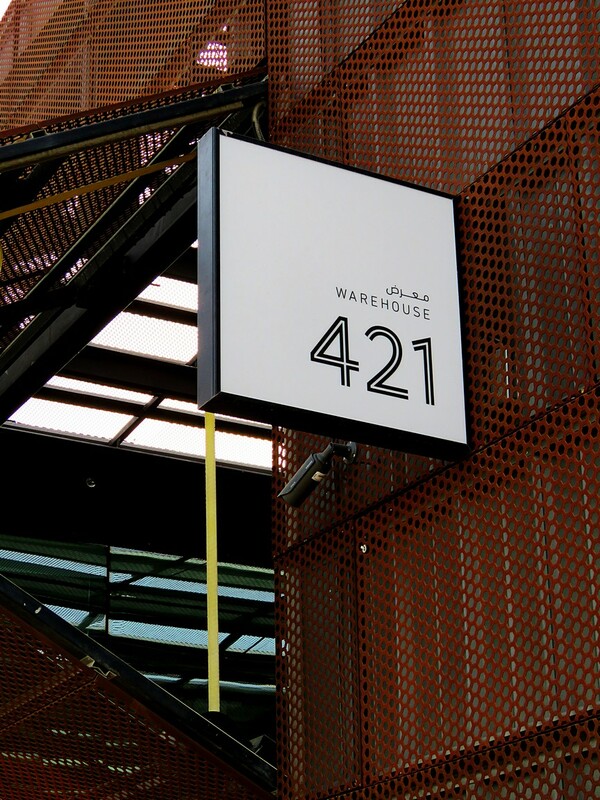 Located in Mina Zayed near the Dhow Harbour, Warehouse 421 has been my favourite art space, since moving to Abu Dhabi from Al Ain, just over two years ago. With its industrial look, and varied programme, which includes talks, workshops, and films, it supports local artists, and creates a vibrant space for creative interactions. This is where, through Rooftop Rhythms that I first encountered the Emirati spoken word artist, Afra Atiq. Not only does she breaks the mould of how Emirati women are often perceived, but her powerful words give me goosebumps, every time I listen to her. Most of the events, as well as entry to the gallery space, are free of charge. The Arts Centre at NYUAD runs, not only a strong visual arts programme, but also includes films, music, theatre, dance, and performance poetry, in their yearly offering. The Institute, on the other hand, offers various interesting talks on a variety of subjects, open to the public. These talks are recorded, and can be accessed on Soundcloud. Many of the events, as well as entry to their art exhibitions, are free of charge. Their new season starts in September, and for the first time, they will also introduce a membership programme. Opening Times: The Art Gallery is open Monday – Saturday, 12h00 – 20h00, but closed on Sundays. Other timings vary, depending on the event, but most take place in the evenings. It is not a space I visit often, but they do focus on the work of local artists, and the café attached to the gallery is a great place to visit afterwards. Home to the Abu Dhabi Art Fair in November, it offers various other exhibitions and events during the year. It is also where both Cinema Space, and Cinema Akil hold various free film screenings. I particularly enjoy the movies focusing on the stories of this part of the world, as I would otherwise not be exposed to them. The programmes are varied, and they make for a refreshing alternative to the big budget Hollywood movies dominating movie theatres. Most of the events, as well as entry to the art exhibitions, are free of charge. Opening Times: General opening times are daily from 9h00 – 20h00, but different events have different timings. Apart from an amazing permanent exhibition, in which art works are regularly changed, the Louvre also runs temporary exhibitions and other art related events. Obtained by the Department of Culture and Tourism in Abu Dhabi for a staggering $ 450 million, Leonardo da Vinci’s Salvator Mundi, will, after much anticipation, be unveiled on 18 September. The Louvre runs an Art Club Membership Programme, which gives you unlimited access to the museum and its various exhibitions for a year, as well as special events and previews. The Museum Café is well worth a visit for its excellent food and lovely views, while the rooftop terrace bar, the Art Lounge, will reopen on 22 September, when the weather cools down slightly. Opening Times: Tuesday – Sunday, 10h00 – 22h00. Closed on Mondays. ** Click on the Teal Coloured Words for built-in links to the respective websites. Remember to also sign up for our newly embarked adventure in Portugal, A Taste of Freedom, where we are in the process of rebuilding a ruin into a tiny house. All while we are still residing in the UAE. It is a long-term project, as we do not have unlimited resources, and only progress as fast as we can put money aside for the different steps. We also have a Facebook page for it. So, please join us on this adventure of transforming a dream into a reality. I must say I do lose myself and perhaps find myself as well when created some form of artwork. I love a good quote, Greg, and this is one I can identify with on so many different levels. Not a quote per se, but someone on the radio the other day said something I found hilarious and I use it every chance I get. “If you don’t have knowledge, you have to rely on something else!” Ponder this, and have a great weekend Jo! Definitely something worth thinking about! Have a good weekend too, Greg. I wish I’d had more time when I visited Abu Dhabi briefly in 2012. I spent some time with a friend who worked at the NYU campus there, but I was not aware of the Arts Centre. I’d love to visit the Modern Art Gallery and the Louvre – may just have to fly through there and stay longer again someday! The Arts Centre could well be a more recent addition, Lexie. The Louvre is well worth a stopover on one of your trips. And wouldn’t it be lovely if we could meet in real life over a cup of coffee and art? I had no idea that the Louvre had a little sister in Abu Dhabi, Jolandi. Have you reserved your ticket for the unveiling of Da Vinci’s masterwork yet? I imagine the demand to see the paining will be huge. Good for you! Enjoy the exhibit! With the high temperatures throughout the year, it is very cool to see that Abu Dhabi has some incredible art spaces to visit and get absorbed with ~ enjoy your weekend. It certainly is, Randal, especially as the other alternative is going to the mall, which definitely does not excite me. I miss art galleries. *sigh* You’re very lucky to be surrounded by so many…one day, I’ll be around galleries again. I am indeed, Lani. And enjoy and appreciate every moment of it, especially because I know that I will not always have this. Especially when we move to rural Portugal one day! Yes, for some reason I thought you were moving soon. Not yet though, huh? Not yet, as there is still too much to put into place before we can, Lani. But then again, one never knows, as expat life isn’t always as secure as one would like it to be. I’m sure you know all about it . . .
happy knowing of art galleries there! So true. Creativity can be very infectious. Thank you for the introduction to Afra Atiq. Her poems are beautiful to read, but I really get a kick out of listening to her speak them out loud. I also prefer to listen to her. She is quite a gem. So glad you took the time to listen to some of her poems. I think they are very powerful.